If the signs are to be believed, the end of the world as we know it starts on Saturday. If the signs are to be believed, the end of the world starts on Saturday. About 20,000 billboards have popped up around the globe, including in major Canadian cities, proclaiming May 21 as Judgment Day. "Cry mightily unto GOD for HIS mercy," says one of the mounted signs from Family Radio, a California-based sectarian Christian group that sent one of its four travelling caravans of believers into Vancouver and Calgary in the past week. Family Radio's website is blunt in its prediction of Judgment Day and the rolling earthquake that will mark the beginning of the end, taking true believers to heaven while others are left to be consumed in the total destruction of Earth by Oct. 21. "The Bible guarantees it!" the site proclaims, under a passage from the book of Ezekiel, which says "blow the trumpet … warn the people." Richard Ascough, a professor in the School of Religion at Queen's University in Kingston, Ont., has been watching Family Radio's campaign, and fully expects life as we know it to continue on Sunday. He has seen other apocalyptic predictions come and go, but Family Radio's differs in a notable way: it isn't accompanied by a bold, up-front request for money. And that's worrisome, in his mind. "I think they really believe it's going to happen," Ascough said in an interview earlier this month. When groups such as this ask for a lot of money up front, it's possible to think they're "charlatans," Ascough said. "When they're not doing that so blatantly, it worries me more, because I think they really do believe it and they can convince people who may end up in fact doing things like … quitting their jobs, selling their house, not necessarily to give the money to this group, but simply to divest themselves in light of Judgment Day." And then that predicted Judgment Day doesn't come. "We've seen that happen in groups before, and then people are just wiped out, not just emotionally because it didn't happen, but financially," said Ascough. "Some people, it's led to them taking their own lives when they realize what they have done." Family Radio identifies itself on its website as a "non-profit, non-commercial, Christian radio network" set up in 1958 with one FM station in the San Francisco Bay area. 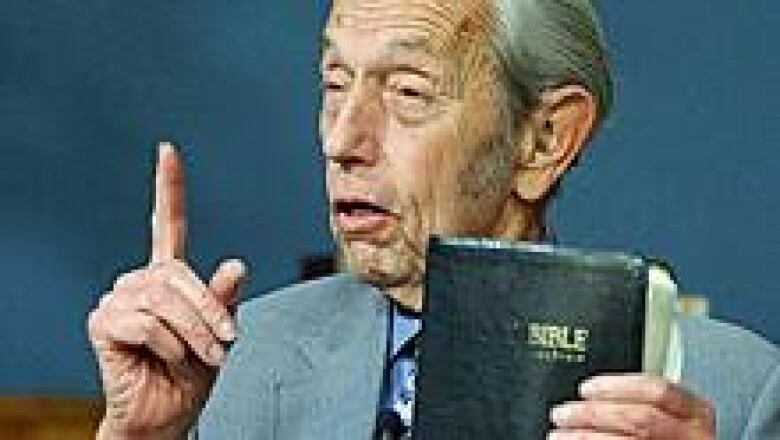 From that station bought by Harold Camping and two others "with the sole intent of proclaiming the Gospel of Jesus Christ," it has grown to a network of 66 stations through the U.S. It also broadcasts its programming internationally. Some published estimates have put its net worth at $120 million or more. "To have that kind of revenue base, if that's correct, suggests there must be quite a few listeners," said Ascough. He said it is "hard to get a read" on the sectarian Christian group. "Their theology is fundamentalist and yet still generally within the bounds of Christianity, until one gets to this date-setting business." 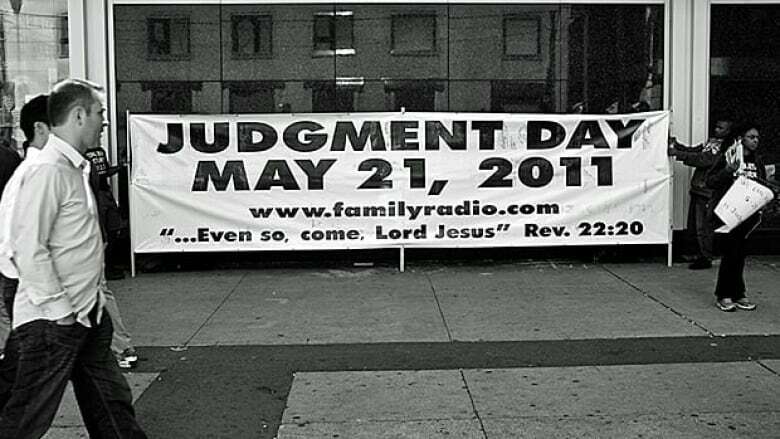 On its website, Family Radio says May 21 as Judgment Day is "derived solely from evidence found in the Bible." "Mr. Camping saw God had placed, in scripture, many important signs and proofs. These proofs alert believers that May 21st of 2011 is the date Christ will return for His people and begin a period of the final destruction of the world." All will be over on Oct. 21, "when God will completely destroy this earth and its surviving inhabitants," the website says. Dec. 21, 2012. The Mayan calendar is widely misinterpreted as ending on that date. Many have predicted that cataclysmic events will take place. Jan. 1, 2000. Otherwise known as Y2K, it was a widespread prediction that computers wouldn't be able to handle the arrival of 01/01/2000. They did. Aug. 18, 1999. Charles Criswell King, an American psychic, said the world would end that day. His other predictions ranged from Denver being struck by a ray from space to saying in March 1963 that something would happen to U.S. President John F. Kennedy in November 1963 that would mean he wouldn't run for re-election in 1964. 1914: Based on the Bible's book of Daniel, the Jehovah's Witnesses (Watchtower Bible and Tract Society) estimated the beginning of the war of Armageddon. It was one of several similar predictions. Oct. 22, 1844. Followers of American Baptist preacher William Miller, founder of the Millerite movement, considered it the Great Disappointment when the second coming of Jesus, which he had predicted, did not occur on that date. This isn't the first time Camping has predicted the end of the world. He also targeted 1994 as a probable time, but on the website, Family Radio says, "important subsequent Biblical information was not yet known." Ascough said he thinks Camping's way of reading scripture is "irresponsible." "It's not the way these Biblical texts were meant to be read, even by their original writers." And even if they were, scholars can find mistakes in the mathematics and historical assumptions put forward in the Judgment Day predictions, he said. "It's all very slippery." Ascough hasn't seen such visible activities like billboards from Family Radio in Canada before. He credits technology with allowing the group to reach more broadly into Canada and worldwide. "They're savvy enough to have figured out how to market themselves well." Family Radio is hardly the first group to predict the end. Movies, literature and television have told tales of a coming apocalypse, in many forms. "Once it gets mocked on The Simpsons, you know it's taken hold," said Ascough. The most recent prediction is also being mocked in the comic strip Doonesbury and has inspired "Rapture parties" across the U.S. to celebrate what talk-show hosts expect will be the failure of the world to come to an end. In Vietnam, the prophecy has led to unrest involving thousands of members of the Hmong ethnic minority, who gathered near the border with Laos earlier this month to await Saturday's event. The government, which has a long history of mistrust with ethnic hill tribe groups like the Hmong, arrested an unidentified number of "extremists" and dispersed a crowd of about 5,000. Ascough sees both a cultural fascination with end-of-the-world scenarios and a fascination with the Bible behind the appeal that religious groups such as Family Radio can hold for followers. "Quite a few people are attracted to fundamentalist groups of all stripes because many people don't like to live with ambiguity." While Ascough predicts the world will survive any suggestions of the beginning of its demise on Saturday, he fully expects such ideas will be revived from time to time. "Almost every generation has this kind of group, so I don't think they're going to go away."